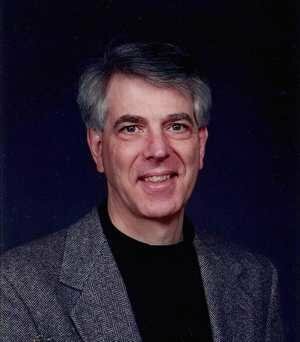 Bill Machrone, or simply Bill M. as most of you knew him by, passed away yesterday at the age of 69. Most of us in the guitar community came to know about Bill because of his world-famous mods for the Fender Blues Junior amps. Shortly after starting StevieSnacks.com on Oct. 21, 2007, I purchased a Fender Blues Junior and did a quick demo. Almost immediately people started emailing to see if my amp had any "Bill M. mods", which it didn't, but it turned me onto this mysterious fella named Bill and his fantastical amp modifications. Around April of that year I emailed Bill to ask if he'd be interested in advertising on StevieSnacks. He wasn't (too many customers already), but to my surprise he seemed to already know about my lessons and gave me a very sincere compliment. A few days later, someone emailed me about a comment Bill left over at FenderForums.com (in response someone mentioning StevieSnacks). Quick aside.... StevieSnacks was only about six months old. I had no "industry" contacts, I had no famous friends, I was literally just a guy from Pennsylvania putting fairly low quality videos on the internet teaching people SRV licks. Bill, on the other hand, was quite well known. Aside from his renown in the guitar community, he was also very well known in the computer industry, having served as the Editor in chief of PC Magazine. Now, as I have come to learn, some people handle having a "profile" differently than others. Some people get so wrapped up their popularity that won't pay any attention to anyone who hasn't reached a similar level of success. It's as if by acknowledging someone of lesser visibility, they fear that their own popularity might be tainted. So I'm a nobody with a six-month-old hobby site, and Bill was legitimately the most visible, most well-known person on the internet that I had been in contact with. I love Anthony's site. And the quality of his instruction." It's hard to appreciate how much that kind of unsolicited praise from a respected voice matters to a fledgling hobby/business. His praise of my teaching and my site helped shape the opinion of unknown numbers of people who pored over that legendary forum thread. In addition, Bill placed a link to StevieSnacks in the sidebar of his site. If you know anything about website SEO, having a popular site link to yours is not a small thing. Bill never asked me for anything in return, and he left that link there for years. About a month later, Bill made time to chat with me at the 2008 NY Amp Show. We talked about many things, but it was the first conversation I'd ever had where someone gave me advice about how to deal with having an audience. Of all the advice he gave me, this piece affected me the most. Always keep the content 10% ahead of what your audience is ready for because it gives them room to grow." About two years later I had Bill do a bunch of mods to one of my Blues Junior Amps. The amp sounded fantastic, and that video has gone on to be the most-viewed video (that I can find) about Bill's mods on YouTube. I can only hope that that video sent him so much business that he couldn't keep up. Bill and I didn't keep in touch regularly except for the occasional email about a potential customer that emailed me instead of him. A few years ago someone let me know that he was dealing with some health problems. That was the last I knew until hearing about his passing yesterday. Not that anyone needs further proof of what an incredibly generous person Bill was, but I'll add my praise to the list anyway. Bill showed me respect when I had done very little to earn it. He publicly praised me when I had no reputation for people to consider. To the guitar world, he gave the gift of curiosity and obsession with tone. He showed how much you could do with an affordable amp and a few hundred dollars.